Before finding Glebar, the customer had to grind one component at a time on a rebuilt Cincinnati machine. 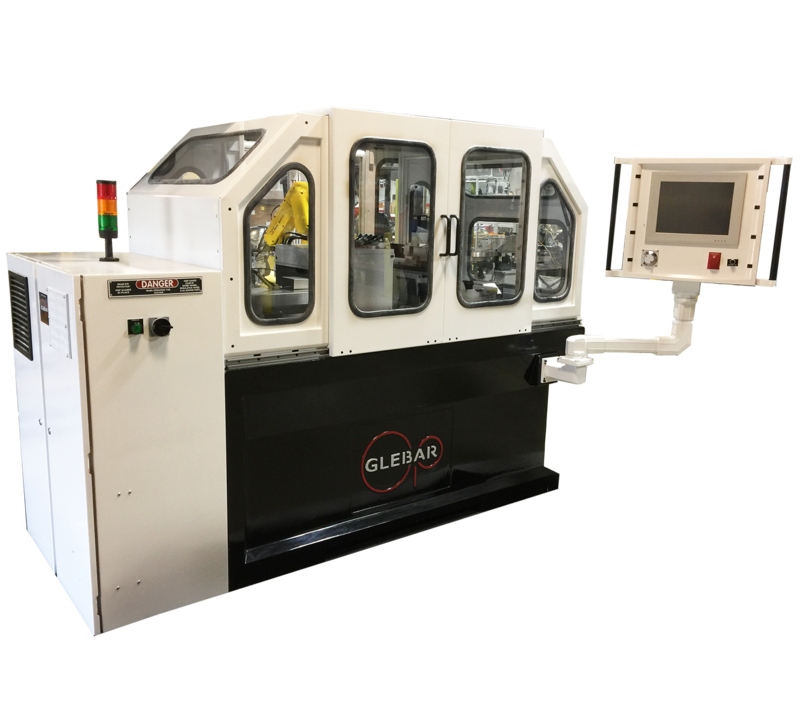 Glebar’s GT-610 CNC gives them the capability of running millions of fasteners per year (8 pieces at a time) to micron precision. The machine provides automatic size compensation by station, and the machine can run 12,000 parts before redressing the wheel on certain components. The GT-610 CNC wheel life was competitive with the larger Cincinnati wheel. When a requirement exists to infeed grind aerospace components in a high production environment using a high level of automation, the GT-610 CNC significantly outperforms alternative processes. Glebar also offers an off-line dressing machine to eliminate downtime associated with wheel forming. In addition, the GT-610 CNC has advanced programming capabilities that allows the machine to communicate with an inspection system (in or off-line). The in-line gauging system allows the machine to auto correct the wheel dress profile by station, which allows the machine to run production in a lights out environment.